A wax museum statue of our client… as Zorro! This gallery features a life-sized Zorro custom mannequin in a wax figure style. 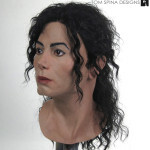 Most folks would consider it a wax museum statue but it’s actually made from silicone, the current state of the art in realistic statue sculpture. 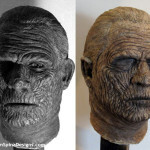 We get all sorts of interesting and unusual requests from our clients, so when a gentleman approached us about creating a realistic, wax museum figure style statue of himself as his favorite film character, we jumped at the chance. Our private client provided most of the costume and a range of photos for us to use as reference in our work. Creating a museum figure with this level of realism involved the talents of a number of artists. 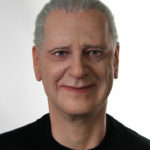 Tom Spina created the clay sculpture, capturing the client’s likeness as a slightly younger man as a bust from photos. Mike Thomas assisted on the molding and silicone casting process, and Tom carefully painted the head and installed the custom glass eyes. 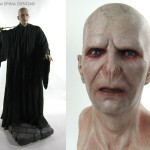 The skin is made from translucent silicone, which wonderfully mimics real skin. The hair, brows, lashes and mustache were all punched in by hand, one hair at a time by Rufus Hearn. 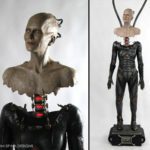 The custom mannequin body was built by Tom Spina, Patrick Louie and Robb DeNicola. We owe a very special thanks to our friend, the late Guy Louis XVI who lent his expertise and his Fuse-FX silicone paint system! Custom statues like this one can also be used in trade shows, or as museum figures, in marketing or retail displays and windows, or in theme park attractions and haunts… or even on display in your home theater! Need a custom statue for your themed attraction, museum or man cave?